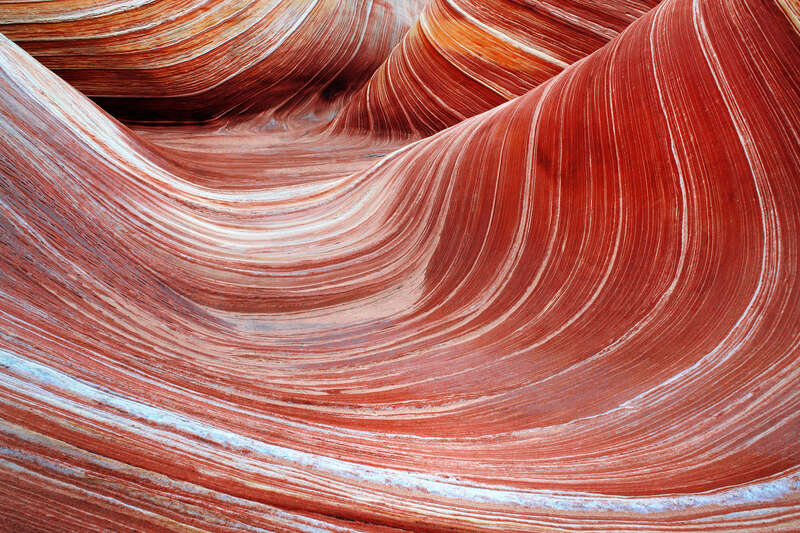 Willis Creek’s yellow sandstone and striped layering create a unique experience amongst Southern Utah’s slot canyons. Willis Creek is a narrow canyon with sculpted sandstone walls that tower up to 300 feet above the stream in some places. At the right time of day, sunlight reflected from the yellow walls casts a warm golden glow throughout the canyon. The flat, stony streambed offers a pleasant stroll through shady and scenic narrows. A couple of small, hidden waterfalls contribute to the canyon’s charming character. Willis Creek often contains a small amount of water. The stream is shallow, and rarely more than two or three feet wide. From the parking area, cross Skutumpah Road. Find the trail about 40 feet north of the point where the stream crosses the road. The trail initially follows along above the creek. The canyon walls begin to appear, and the stream level gradually drops 10 or fifteen feet below the trail. After a short distance, the trail cuts down and joins the creek bed. Even though the walls here are no more than 15 feet high, the sculpted rock is a visual treat and foreshadows greater things to come. Before heading farther down the canyon, walk upstream a short distance to a small waterfall that slices through the sandstone. Continue downstream past a few twists in the canyon. The first set of narrows is small but beautiful. The walls are about twenty or thirty feet high, and the canyon width is about ten or fifteen feet. After a few hundred feet, the walls retreat and the canyon opens up again. Enjoy the open air for a time, before the creek cuts down through a flat sandstone slab. Hug the wall to the left of the creek above the small cliff band. The trail negotiates down to join the creek bottom once again. Be sure to look back up the canyon, where the creek forms another small waterfall hidden in a sandstone alcove. Shortly after this waterfall, the canyon slims down to the second narrows. Again, it’s not like the claustrophobia-inducing or cave-like slots that can be found elsewhere in the region, it’s engrossing nonetheless. The yellow walls are deeply scalloped, with curious overhangs. The walls pull back momentarily before again constricting down to the third narrows. 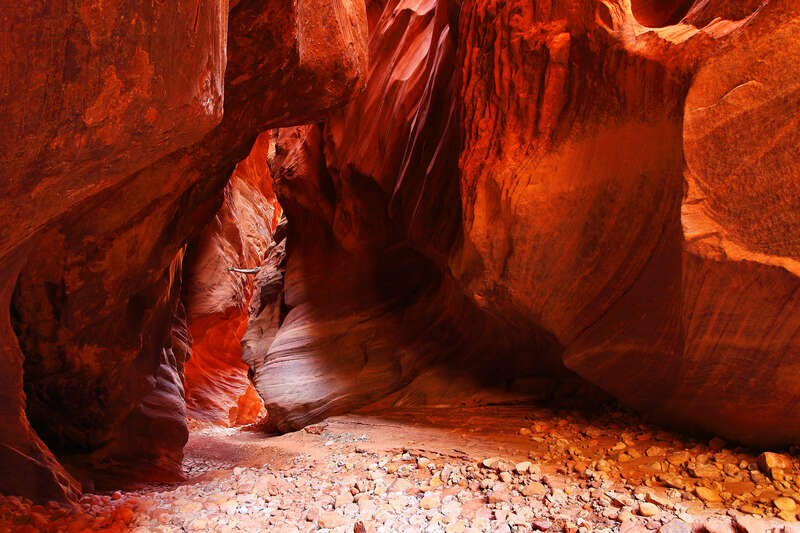 This is a true slot canyon by most definitions. Here the canyon ranges from five to ten feet wide and likely over 100 feet deep. The sidewalls are scalloped and striped, vying with any other southwestern slot for mesmeric allure. After exiting this slot, the canyon walls draw back, and gradually widen. Trees and brush grow from the canyon floor, and along small sandy benches that appear around the canyon bends. Averett Canyon joins Willis Creek from the North, but it can’t be explored from this direction due to an impassable dry fall about 100 feet upstream. Willis Creek continues until its confluence with Sheep Creek about a mile from the last slot. From Cannonville, head south on Main Street, which turns into Kodachrome Way. Follow this road from HWY 12 for 2.9 miles, until you see a dirt road turn off to the right (south) from Kodachrome Way. This is Skutumpah Road. 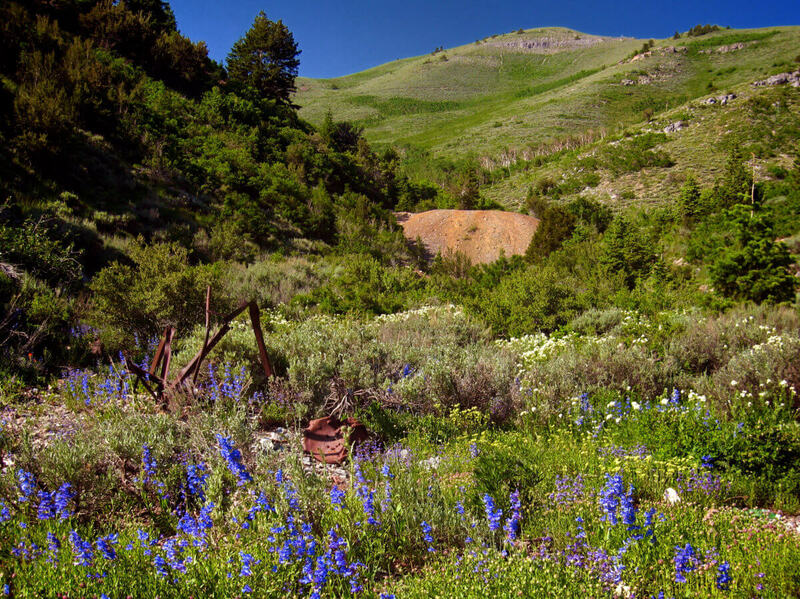 Follow Skutumpah Road for 6.2 miles to reach the Willis Creek Trailhead, which is on the west side of the road. Travel along Skutumpah Road is easy when the road is dry. It is usually well-graded and smooth. The road is sometimes muddy around Willis Creek due to the running water. Furthermore, the amount of water in the creek can vary significantly depending on weather. When approaching from the north, the parking area is off to the right before the creek crossing. From the south, smaller pull-offs can be found not too far from the trailhead. When Skutumpah Road is wet, it is usually impassable (even for 4WD vehicles) due to sections of deep and extremely slippery clay. Don’t attempt attempt the road if there is still snow on its surface. Melting snow soaks deep into the clay, creating deep bogs perfect for trapping jeeps. The hike is easy to follow. It’s just over two miles from the parking area to the confluence with Sheep Creek. All of the narrows are found within the first mile of the hike.